While hearing the petition filed by NGO Centre for Integrity, Governance and Training in Vigilance Administration in relation to the transparency in appointment of CVC, the Supreme Court today said that eligible persons other than IAS officers should be allowed to apply for the post. The Court also ordered that a public notice be released by the Central Government regarding the post. Hearing the matter, Chief Justice of India RM Lodha opined that, "This is a country of 126 crore people and there are pools of talent in our country. So, why adopt a procedure which deprives those talented people of coming on such posts like CVC. Transparency is the hallmark of the procedures for selecting anyone for such an important post,"
Sr. Advocate Ram Jethmalani bought the Court’s attention to news stories saying that CVC has already been selected. However, the point was refuted by the Attorney General MukulRohatagi saying that news stories should not be relied upon in the matter. The Supreme Court has asked the government to file a reply on the method of appointment of CVC, the next date of hearing is October 14. Hearing the matter, the Supreme Court on Wednesdayhad asked the Attorney General for India to look into the claims that Government was going ahead with the appointment of Chief Vigilance Commissioner(CVC) and Vigilance Commissioner (VC) without paying heed to the apex court directions. The Bench comprising of Chief Justice of India RL Lodha, Justices Kurian Joseph and R F Nariman told the Attorney General, “What should we do. You examine it and tell us tomorrow,” The Bench expressed its opinion saying that it seems the Government is "restricting the appointment to one category of people whereas the statute provides others." After going through the submissions made by Mr. Ram Jethmalani and Mr. Prashan Bhushan, the Bench further observed, “This is in sharp contrast to the appointment of Lokpal”. The whole issue relating to appointment of CVC and VC arose after the July 21 letter issued by the Secretary, Department of Personnel and Training (DoPT), to Secretaries in Government to suggest names for empanelment for the post of CVC and VC, purportedly aimed at keeping away the common people. Mr. Ram Jethmalani and Prashant Bhushan submitted to the Court that the government was trying to fill up the vacancies without giving any advertisement in the public. Meanwhile, CVC Pradip Kumar and VC J M Garg retire on September 28 and September 7 respectively. Mr. Ram Jethmalani further submitted that it should not be necessary that the person applying should be a civil servant while Mr. Bhushan made the point that the letter suggests that no application can be directly entertained by DoPT and that only recommendations by Secretaries would be considered. 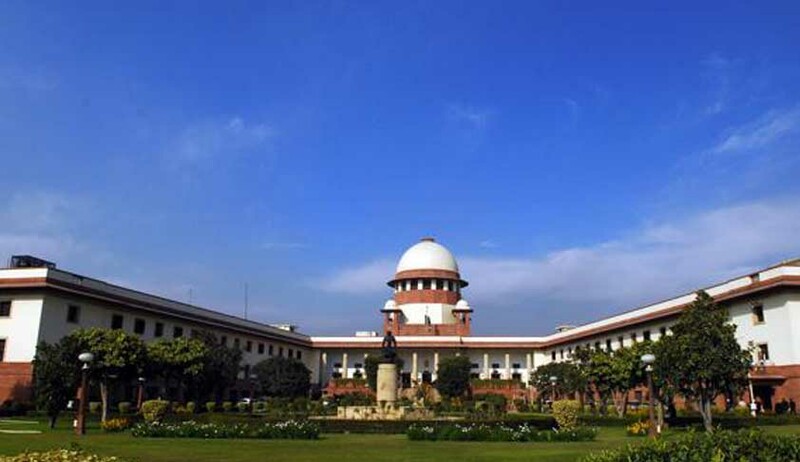 The Supreme Court in the petition had asked the government to file a response on fixing minimum knowledge and experience in vigilance matters as essential criteria for appointment of CVC and VCs. The application has been filed in the same pending petition before the Supreme Court, also stated that the advertisements for the posts of CVC and VC are not being given wide publicity, unlike Lokpal. It also stated that officers working with the state governments have been excluded. The Petitioner has also claimed that experience in the field of vigilance for appointment of CVC and VC has not been mentioned as a point of consideration, while it ought to be a necessary ground. Meanwhile, the Supreme Court informed the Attorney General that notice has already been issued by the Court on August 4 a response from DoPT on appointment of CVC and VCs be made transparent through public advertisement on the lines of Lokpal has been sought. Moreover, the Petitioner also stated that names of only those persons would be considered, who will get a three year tenure as CVC and VC. The incumbent CVC or VC will be in office till he attains an age of 65 years or for four years, whichever is earlier. The application filed before the Court further states that the letter issued by the government states that those having retired on September 30, 2012 and July 30, 2014 are eligible to be appointed, but they will not get the opportunity as they have not been allowed tomake a direct application. The NGO has also submitted to the Court that the appointment of CVC and VC must be done by a Committee comprising of Prime Minister, Home Minister and Leader of Opposition. The selection must be by unanimity and not by majority. The petition states that the procedure to appoint CVC and VC should be similar to the one which is in Lokpal. The appointment of one Chairperson and 8 other members is governed by the provisions of Lokpal and Lokayuktas Act, 2013.